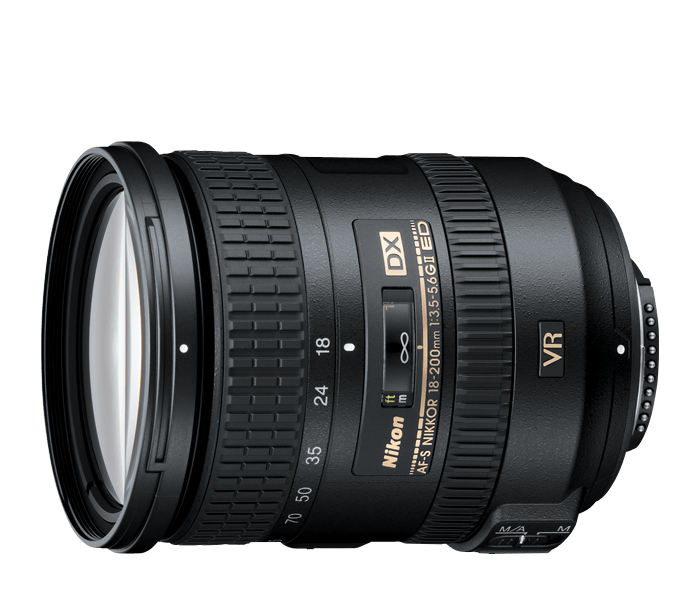 Nikon AF-S DX Nikkor 18-200mm f/3.5-5.6G ED VR II is a powerful, versatile photo and video partner. Its powerful 11x zoom goes from wide-angle (18mm)—great for group shots, landscapes and more—to telephoto (200mm)—great for portraits and bringing the action close. It's equipped with Nikon’s advanced Vibration Reduction (VR II) for remarkable image clarity even when handheld shooting or in demanding lighting situations. Approx. Dimensions (Diameter x Length): 3.0 in. x 3.8 in. 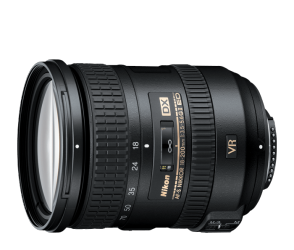 Minimum Focus Distance: 1.6 ft.
Nikon USA Product with Nikon USA limited warranty included! Note: DX-NIKKOR lenses are engineered and optimized for use on Nikon DX-format D-SLRs and are designed to cover the smaller image area of the DX sensor. When a DX lens is mounted on an FX-format Nikon D-SLR, the camera’s DX-Crop Mode is automatically engaged, introducing a 1.5x magnification (cropping) factor.